The CBD has become known as a magnet for top tech talent. 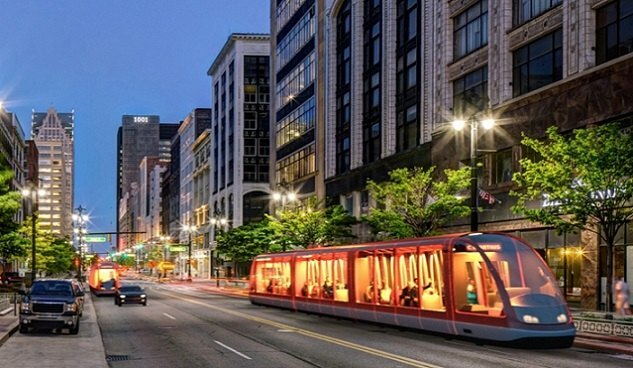 The QLINE, one of the many factors bringing change to Downtown Detroit, recently began operating. DETROIT—This city’s downtown has been on the rise for a number of years, and high-tech firms and workers have played a key role. CBRE just released its latest Tech Talent Scorecard, part of its sixth-annual Scoring Tech Talent Report, and placed Detroit at #20 among the top 50 US and Canadian markets, the first time it broke into the elite group. Some of the major developments underway at the project include the 85% sold Paramount Miami condominium tower, which is on-track for completion in May 2019.